Harvest locations are the first line of defense in the traceback process. It is critical that information is easy to gather, yet have unmatched accuracy. Our food traceability systems can help. Advanced Traceability Solutions offers Harvest Traceback Solutions that will revolutionize the data gathering at the harvest location. 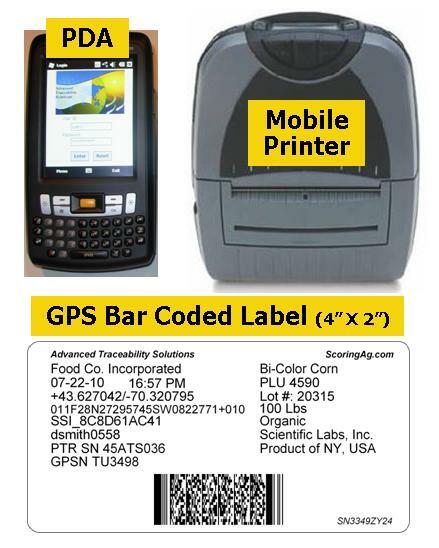 We offer Harvest or Source Traceback solutions, at the pallet, case, bin, and item levels so ANY Operator can print durable labels that contain commodity and operator information, as well as exact location using accurate GPS coordinates in addition to date, time, and other important information required for rapid and complete end-to-end traceback. A specialized 2D bar code is printed containing all the information on the label for seamless input into ScoringAg, a web-based Traceback Database. 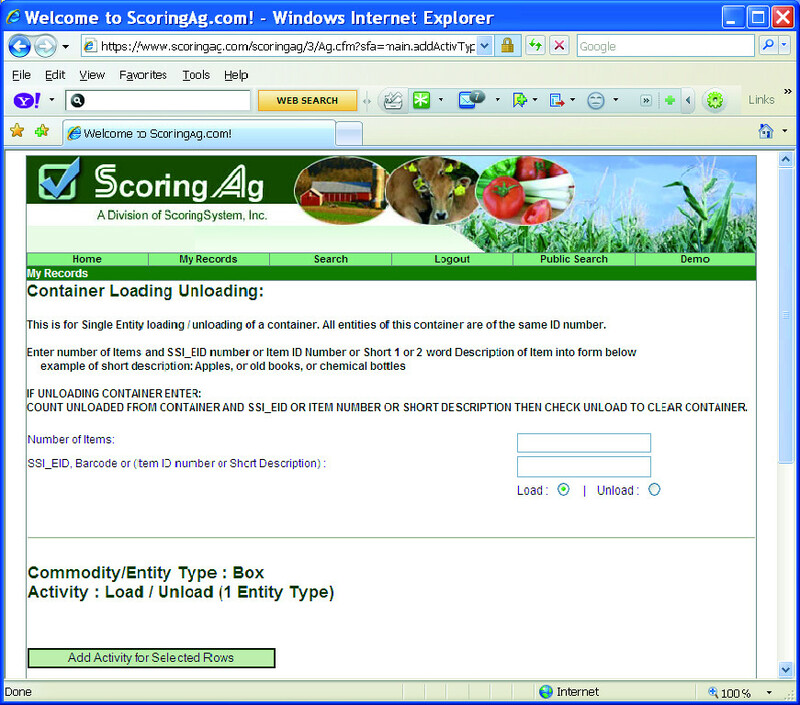 ScoringAg.com is the Premier Traceback Database with decade long track record of serving customers under the most stringent security requirements and the high transaction rates required by today’s harvesters—farmers, growers and fishermen. Labels can be created for the various types of harvest locations—fields, orchards, lakes, rivers, bays, and oceans. To meet various harvest requirements, we offer several GPS Printing Systems, each comprised of a SmartPDA (w/high accuracy GPS), thermal printer, and specialized secure communication and label software. 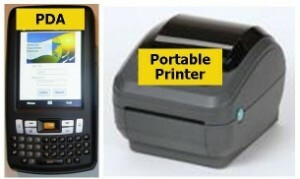 Print labels anywhere, any time with our battery-operated, lightweight printer and SmartPDA. When label output is required and tractor or other electricity is available but portability is still important, the GPS Portable Printing Solution is the answer. The SmartPDA is included. Select this option if very high label output is required using large harvesting equipment with ample electricity available. The SmartPDA is also included in this package. Select which System(s) meet your need(s) then identify the label(s) or tag(s) and in seconds; labels can then be printed. Case Lot ID and Traceback of a food commodity to an EXACT GPS-marked source is now a reality. 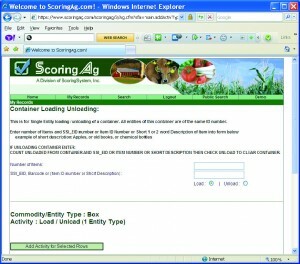 This ensures the ability to find a product’s Source of Origin regardless of its current position. No longer is a large multi-acre field location or a Country of Origin sufficient. With this system, a Specific Longitude and Latitude accurate to within a few feet or meters will be the new standard—the standard to achieve Harvest to Plate Traceback.